Ultra-thin, lightweight cushioned comfort. Pro Tek pads are made from closed cell foam which won't absorb moisture. 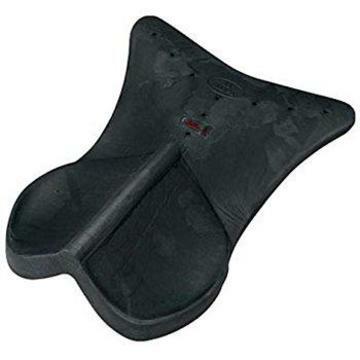 These wither relief pads are molded to fit high up into the saddle channel to give protective cushioning while allowing the spine and withers to be free of pressure. Fits all styles of saddles. Provides added lift for back of saddle. Flared design in front of lift allows staying power with minimum movement. These lightweight shock-absorbing foam pads will provide protective cushioning and alleviate pressure on the spine and wither.